Scoil na gCláirseach - 2011 photos. 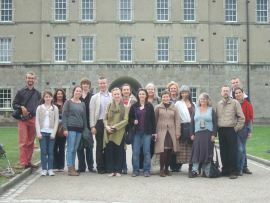 On the field trip to Collins Barracks, Dublin. 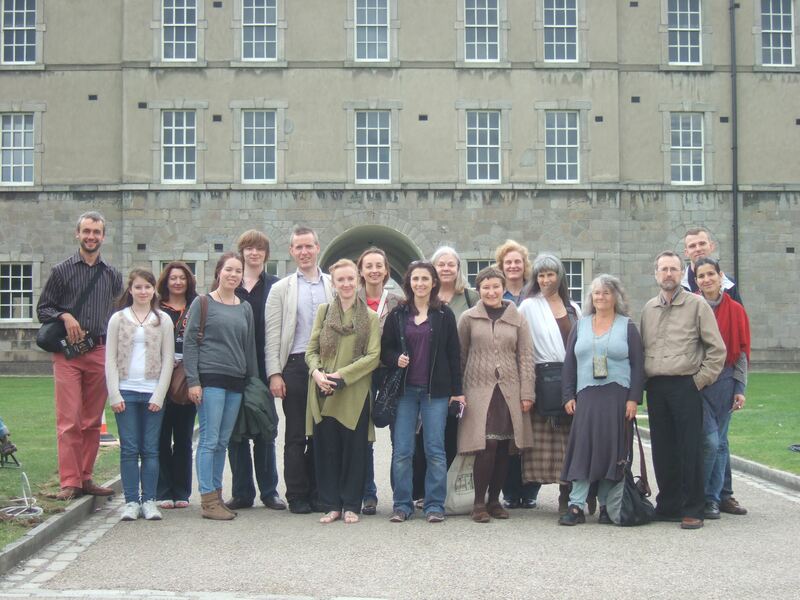 Left to right: Barnaby Brown, Niamh Ní Cholainn & parent, Karen van Rekum, Yannik Gábor Kadvány, Simon Chadwick, Siobhán Armstrong, Lenka Maresova, Karen Loomis, Ann Heymann, Natalie Surina, Talitha MacKenzie, Cathleen O’Connell, Jane Carter, Paul Best, Barbara Karlik & partner.